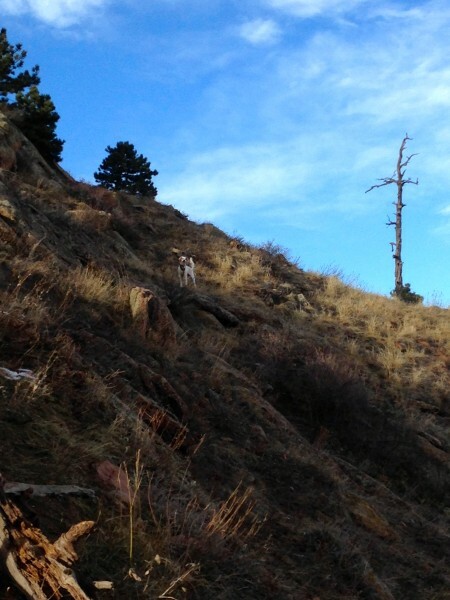 This entry was posted in Comments about Cycling on January 15, 2014 by Steve Tilford. Yesterday was a whirlwind day. I’ll get back to some more interesting posts pretty soon, not just this diary-type thing. I did the 600 miles back to Topeka. It was pretty windy all day, 40+ from the north. 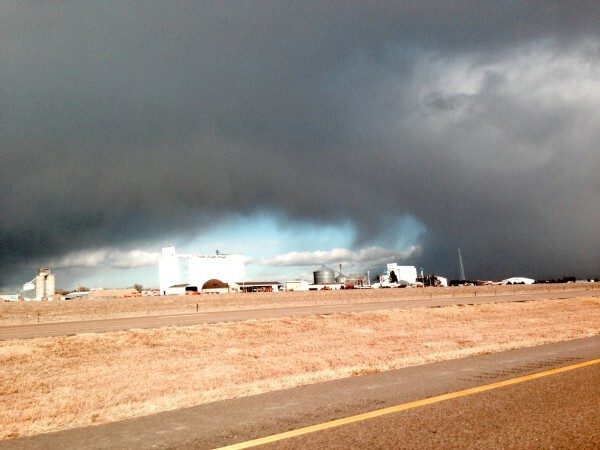 It was sleeting in Colorado, then just windy in Kansas. Most people that don’t live in Kansas only know it by the drive through on I-70. Western Kansas and Eastern Colorado do melt into a long section of flatish nothingness. I like it though. I like driving in general. Anyway, yesterday was my brother’s birthday, plus I needed to get to the Kansas City airport to pick up Trudi, as the BMC camp was over and the riders all headed down to Argentina. I high-tailed it back just in time to stop by the Flying Monkey to meet up with Kris and the gang. I had ordered a small cake at a local bakery, but they gave me just a small sugar disc that said happy birthday. So I ended up buying an assortment of cupcakes. When I got to PT’s, I had a cupcake, a double espresso and a beer. I didn’t realize how late I was and had to go almost immediately for the hour drive to KC. Trudi was early of course, and had to wait a little, great. We stopped in Lawrence and made it to FreeState at 9:55. They close the kitchen at 10. I just had soup and salad. Bromont was pretty sick of the car trip. He was tired from hiking on Monday in Boulder, so he slept the whole way back and to the airport. I have a ton of stuff to do here. Maybe two tons. It is supposed to be 60 degrees on the weekend, which will be great. Going out for a road ride at 1 with some guys. Man, is that going to feel great. Okay, kind of busy already, so that is all. 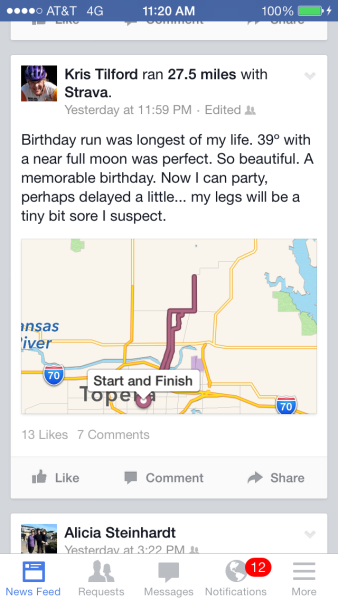 Kris decided he wanted to run a marathon before his birthday, so he just did it. Ouch. Bromont on the hike up Mt. Sanitas. 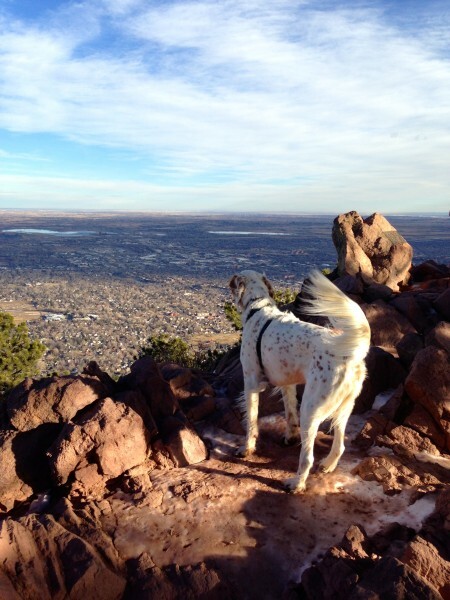 He liked the view from the top. 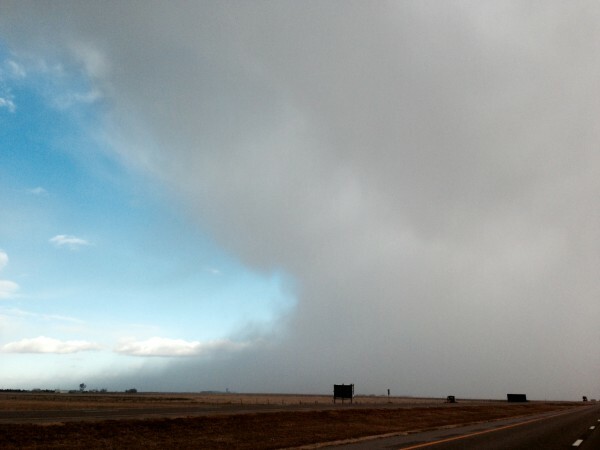 I drove through this crazy storm in Central Kansas. It looked like a thunderstorm, but was snowing. 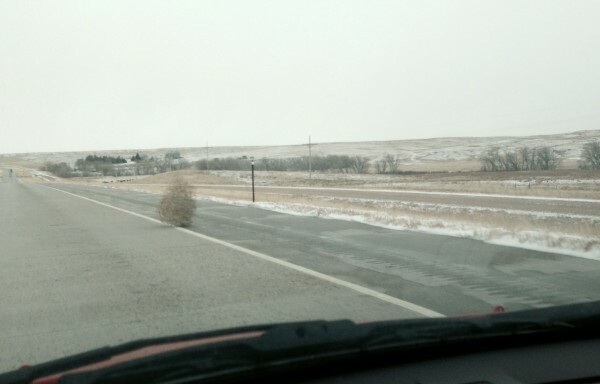 I was bombarded with tumbleweeds in Eastern Colorado. This was a small one. I’ll all for less governmental control, inspections on things, but this guy shouldn’t have been driving around. I like the “diary-type thing” posts. Pretty much the only posts I don’t care to read are the ones that have anything to do with doping. Great picture of Bromont looking out over his kingdom. 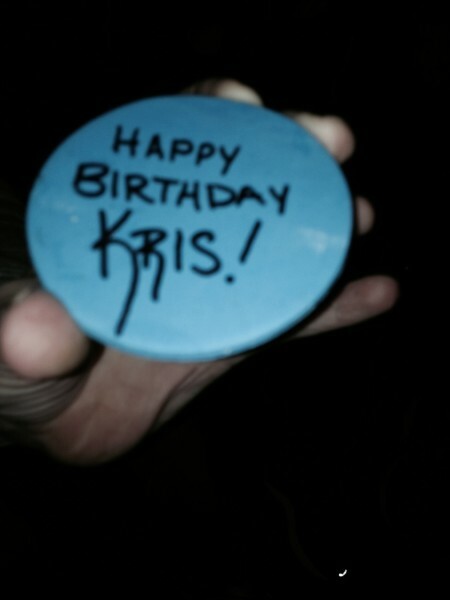 Seems like Kris hasn’t changed a bit! Great fossil hunting in western kansas and Eastern Colorado. That used to be the ocean that split the US. 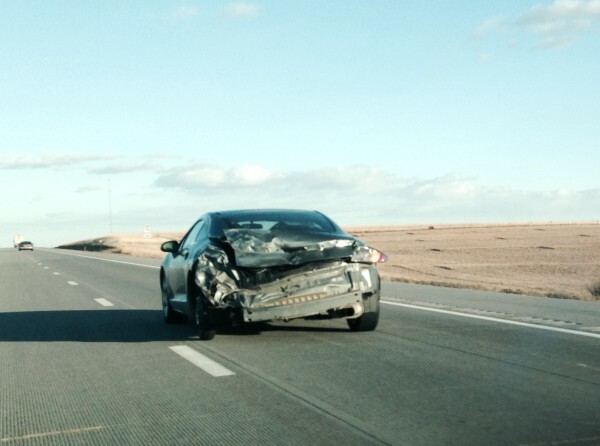 Is that car really that much less safe than you taking pictures while driving (assuming you are, of course)? Are you kidding? Have you ever made the eastern Colorado/western Kansas drive before? You could put it on cruise and take a nap. My first marathon was a similar experience. I had enough base mileage from cycling and training for a triathlon to get through it. I hurt for a week. Walking down stairs was the worst. “I’m all for less governmental control” ???? WTF, you have a Obama sticker on your van.